Struggled with getting the weft to lay in straight rows and close together, and with being tempted to pull it too tight. 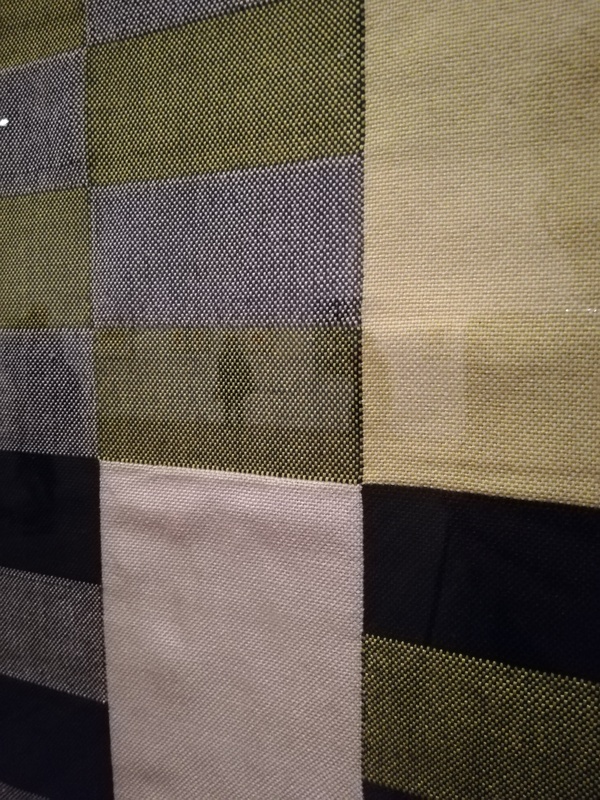 Also struggling to understand how Albers achieved the twisted warp in eg Tikal – did she use extra weft? Really love the effect closer to the top of my piece, using a few different colours of weft simultaneously and doing meandering paths that pass over the top with some of them. Also, twisting 2 of them round each other (visible in photo below). Want to spend some time practicing the basics (eg just plain weaving with one weft and making sure to get it lying flat and straight) and maybe some of the specific weaves (twill, basket etc). For the latter I’ll probably have to use the larger loom and check the warps are strung to the right sheds in order (I think some of the 2s and 4s get mixed up halfway through? ), as well as get some patterns from Lucy. Although maybe I could do the patterns by hand without the larger loom? Time consuming. Also, it’d be good to try something with different warps, try following one of Albers’ patterns so’s I can practice eg leaving some wefts behind until I need them, and to try planning out a piece in advance so I know which warps I need where and when to use different weft colours to build up a specific pattern. Espec for the last two, I really need to read On Weaving I think.